Only 15% of the 65 million printer cartridges that are sold in the UK each year are recycled. 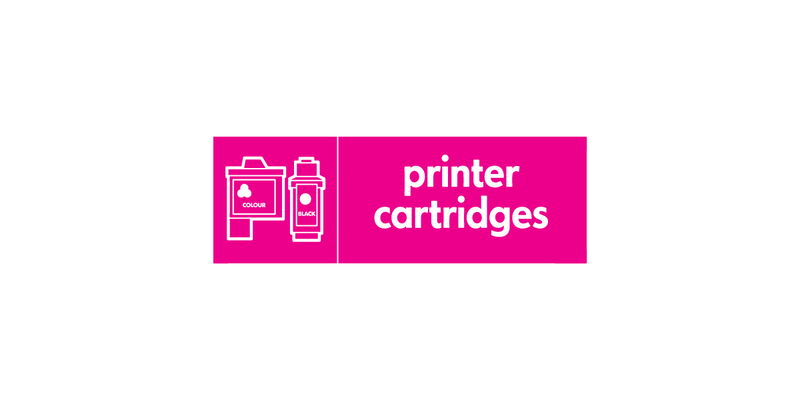 Which is a pity as there are a wide range of charities and businesses that will accept ink cartridges from you as they can make money from them. Give them to an organisation or charity so that they can sell them and make money. Or you can refill them and use them again yourself. Buy refilled cartridges whenever possible. They are cheaper than new ones, and prevent waste. Oxfam Oxfam will collect a minimum of 6 laser cartridges at a time although they must be packed in their original boxes. Call 01873859901 and they will collect them by courier free-of-charge. For Inkjet cartridges except Epsom, call 01873 859901 and they will send a freepost cartridge collection box or bag. Clover Environmental Solutions provide collection programmes for used laser toner cartridges, inkjet cartridges, mobile phones and small electronic devices. Find out more on their website. You can recycle them at the Smugglers Way Household Waste and Recycling Centre.